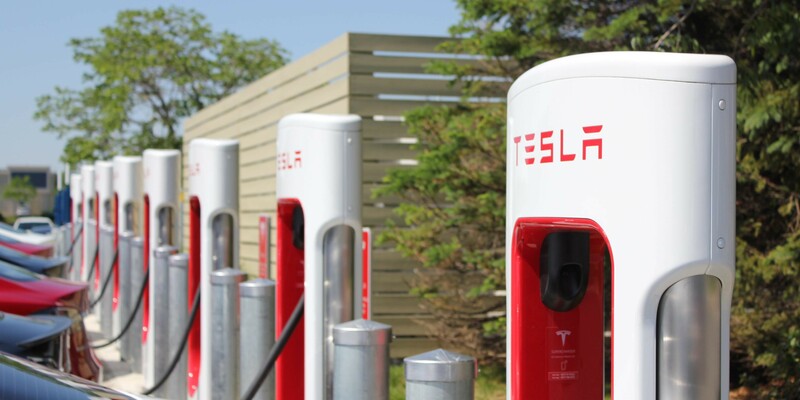 Electric vehicles have long been thought to be impractical for long distance driving due to their generally short-range capacity, but Tesla installs its stations at strategic intervals along popular routes and combined with the Model S’ 200+ miles range, Tesla owners can have interesting road-trip experiences. 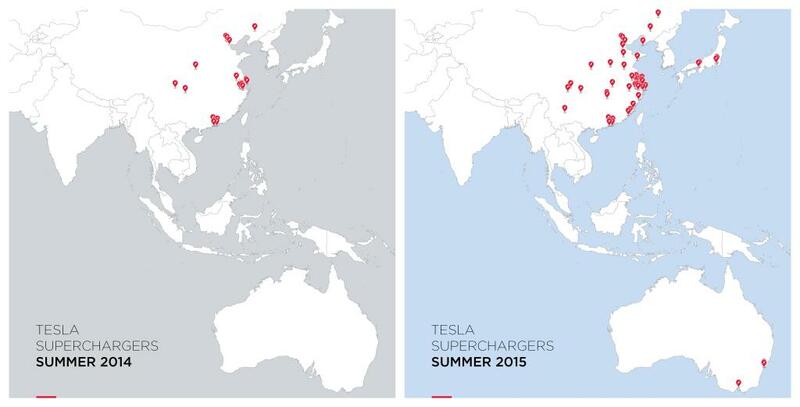 Tesla’s Superchargers have a charge rate capacity of 90 kW to 135 kW, depending on how recent the station is and where it is located. 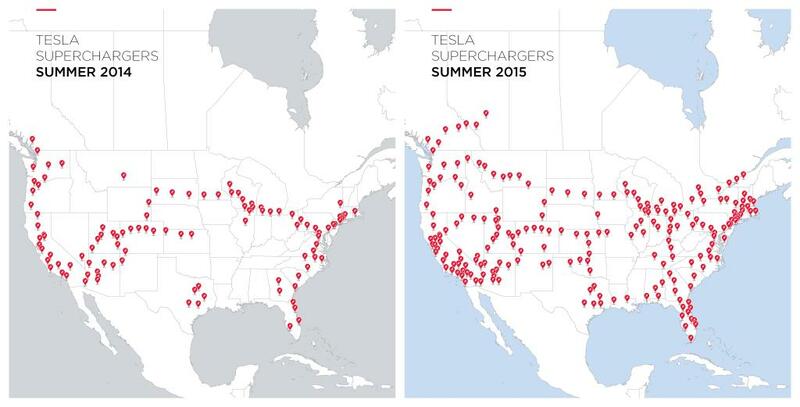 An average Tesla charging station can add 170 miles of range to a Model S in about half an hour. The company published maps illustrating the growth of the network. 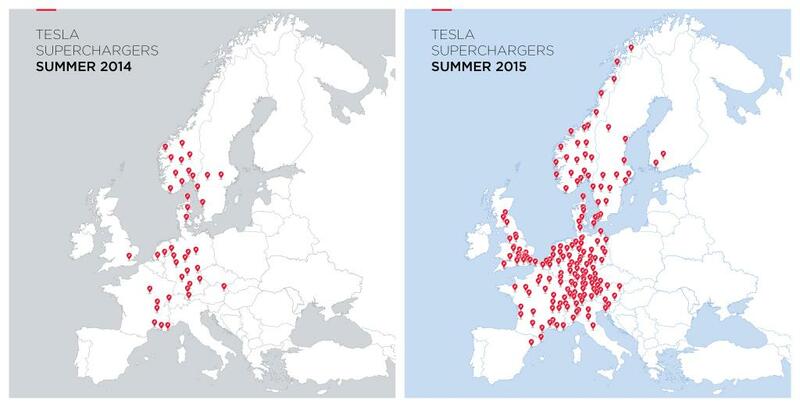 Featured image: Drummondville Supercharger by Fred Lambert – Maps: Tesla Motors.